How would you like someone who has read your book to sum it up in one sentence? Irish cinema in the twenty-first century is a clearly written, original, and comprehensive survey of contemporary Irish cinema. What book in your field has inspired you the most? Brian McIlroy (ed.) Genre and Cinema: Ireland and Transnationalism (London and New York: Routledge). Which writing process do you use (computer, longhand, dictate, other)? Good Irish studies catalogue, good pricing, good reach. Ecologies of Cultural Production. This project will survey a representative sample of high-profile workers in two fields, film/screen production and theatre/performance, to establish what part the subsidised cultural sector played in their career development. Information will be gathered through interviews and on-line sources. The aim is to inform public policy on arts funding and establish a methodology that could be applied to all sectors of cultural production. If you could go back and give yourself one piece of advice when starting out this project, what would it be? Start with the image permissions. If you could have been the author of any book, what would it be and why? James Joyce, Ulysses – because of it enduring ability to be read and reinterpreted. What other genres do you enjoy reading? Which authors (academic and not) would you invite to a dinner party? I’d rather sit in a pub with Lenny Abrahamson and Ed Guiney and sort out a few things about Irish cinema. Irish cinema in the twenty-first century is available to buy now. 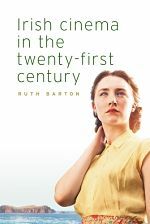 Ruth Barton is Associate Professor in Film Studies at Trinity College Dublin. She is the author of several books, including Irish National Cinema and critical biographies of the film star Hedy Lamarr and the silent director Rex Ingram. She appears regularly on radio as a film historian and critic. Category: Author Q&A, Blog, Cinema, Film & Media, Irish Studies	0 Comments.